Comment: I need two framed rectangular solar screens in the front window of my house that faces East. Comment: 1 regular single window and 1 regular double window, both double pane insulated, both have lost their seal and fogged over. Comment: The window is cracked and needs to be replaced. Ridgeland Window Replacement Companies are rated 4.76 out of 5 based on 119 reviews of 5 pros. 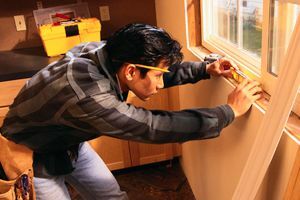 Not Looking for Windows Contractors in Ridgeland, MS?